When visitors come to our nursery, they are amazed when the see Klip Dagga for the first time! Ranging in height from 4-9 feet along our garden pathway to the nursery, it is full of round calyxes sprouting bright orange tubular flowers and resembles something from a Dr. Seuss illustration. It almost always stops visitors mid sentence as they admire the plant and it's unique visual characteristics. Klip Dagga, when in the wild, really enjoys 'disturbed' areas such as roadsides. It is an early pioneering species in it's natural habitats, and helps promote the succession of disturbed land into Savannah. These traits make it a great plant for sunny tropical climates elsewhere. Klip Dagga is a member of the Lamiaceae, the mint family of plants. It is originally native to the tropical regions of Africa and Southern India. It has been introduced to other regions of the world including south America and the Caribbean where it also thrives and is cultivated. Soil & Moisture: Dry, sandy, well-draining soil. Drought tolerant but also thrives in humid conditions. Water once or twice weekly if growing in a container. Medicinally the plant has been used for centuries by various peoples in Africa including the Hottentot peoples. It was often used in preparation for hunts as well as in public ceremony and community events. The plant was probably primarily used as a sedative, euphoriant, and inebriant - usually the shoots and immature flower buds are dried and smoked like tobacco or cannabis. Often times a resin is collected from the plant by rubbing leaves between the palms, and collecting the sticky resin into a ball that is then smoked. The psychoactive effects of this plant are described as generally 'mild' and no more intoxicating then smoked low grade cannabis. Don't be concerned however, Dagga is legal for use and distribution in the United States and is not a controlled substance! It is an ingredient in many over the counter herbal smoking blends found in Tobacconist shops around the country often mixed with mullein, skullcap, and other similar 'relaxing' herbs. These are NOT the same type of smoking blends as the synthetic cannabis 'spice' products which are now illegal in most of the United States and other Countries. It should be noted that the medicinal effects of Klip Dagga generally affects women more so then men. This is hypothesized as having to do with hormonal estrogen based compounds found in the plant. 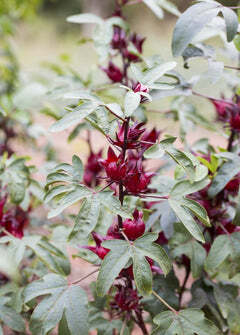 The plant may stimulate the uterus and can be used to induce menstruation. There can be some confusion between distinguishing Klip Dagga and Wild Dagga (Leonotis leonurus) as they look similar and are sometimes called the same common names. They are close relatives of the same genus. The difference between the two plants is that Klip Dagga has leaves akin to catnip's, while Wild Dagga's leaves are skinnier and leathery. Both are easy to grow, fast growing, and are grown and used in similar fashion as a medicinal and ornamental.